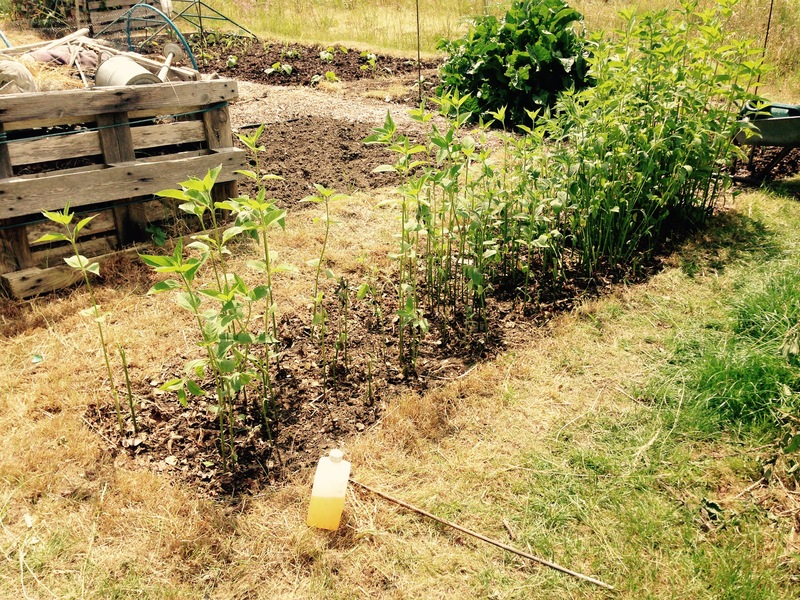 ← Tuesday 23rd June 2015 – My greenhouse is ready!! Wednesday 24th June 2015 – The farty veggies are in!! Well some people think that Brussels Sprouts make you fart, but others disagree. To be honest we don’t need any help in our house when it comes to being wind, at BOTH ends, not just the one end. So this morning I planted out 24 Brussels Sprout plants. Make sure you protect them also from the birds and our slimy foes. They won’t be ready to harvest until the winter, so they’re an “investment vegetable”. If you don’t have the room for them, don’t worry. Mine did really well last year, so hopefully they will again this year. If you are down wind of us I can only apologise in advance, sorry!! 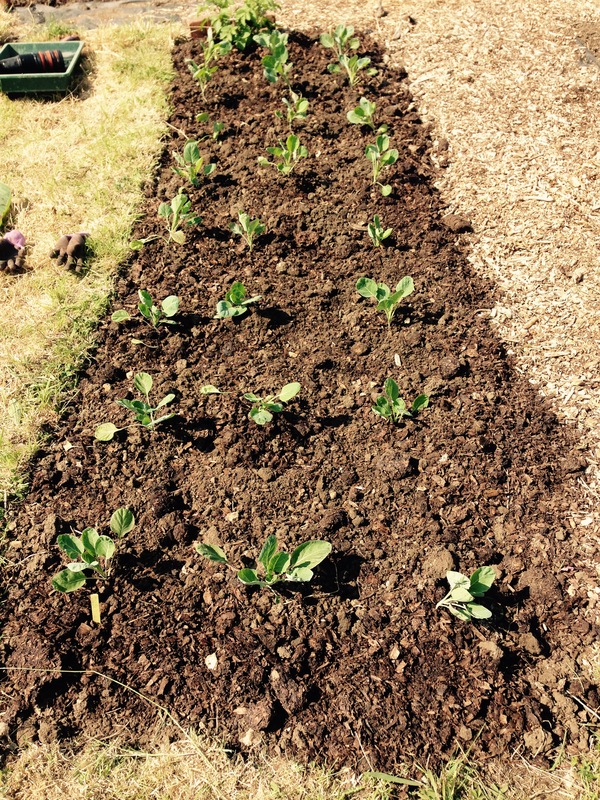 24 Brussels Sprout plants neatly in 3 rows!! Once these were in, it was onto more weeding. This time the Jerusalem Artichoke bed. It is the last bed that I needed to weed before “plot 2” was complete. And now it’s done!! Yippee!! I feel like I’m now making head way with my plots. Now I’ve got to tackle “plot 1” which has become a little on the rustic side. Hopefully tomorrow I can start sorting it out, but it’ll take a good couple of weeks, but I’ll keep you updated on it’s progress. My Jerusalem Artichoke bed. Apart from tidying the compost heaps, plot 2 is complete. I was only able to spend the morning on my plots, because I had to somewhere at 1pm, but it the humid heat it wasn’t something that I was going to complain about. It’s supposed to be hotter tomorrow, but I’ll cross that humid bridge when I come to it. This entry was posted in Uncategorized and tagged brussels sprouts, claire's allotment, jerusalem artichokes. Bookmark the permalink.